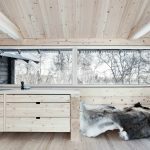 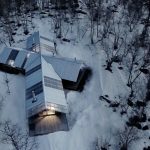 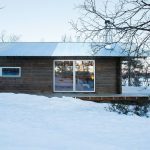 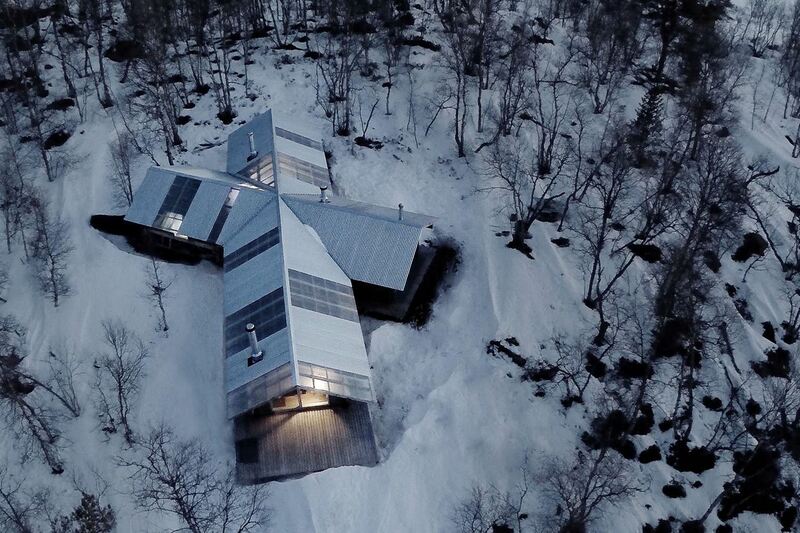 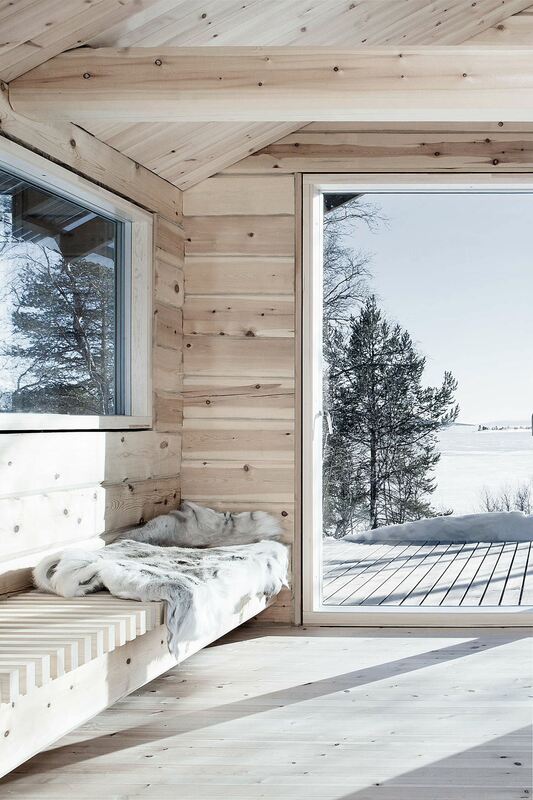 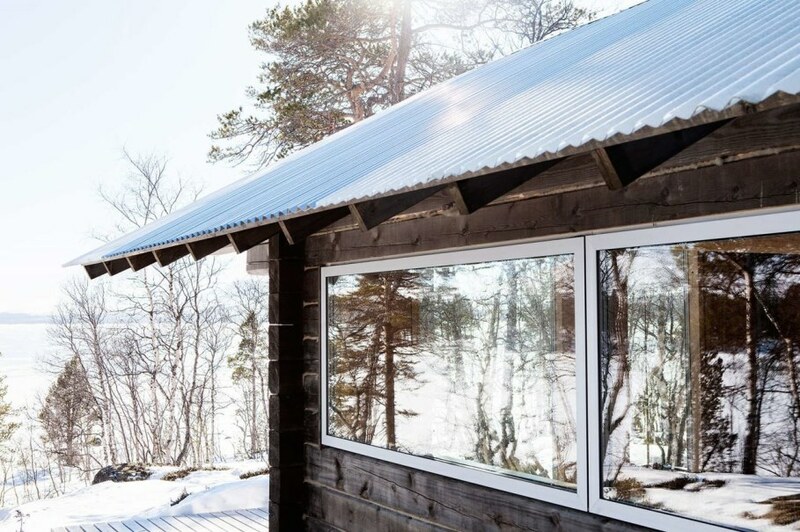 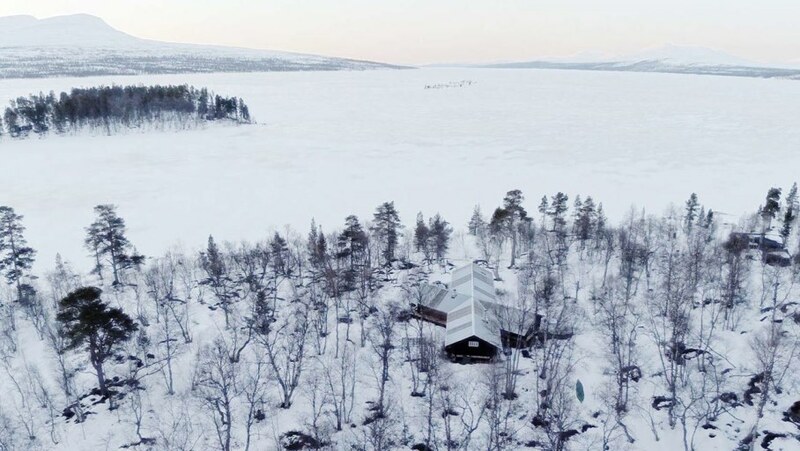 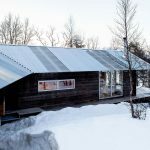 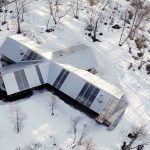 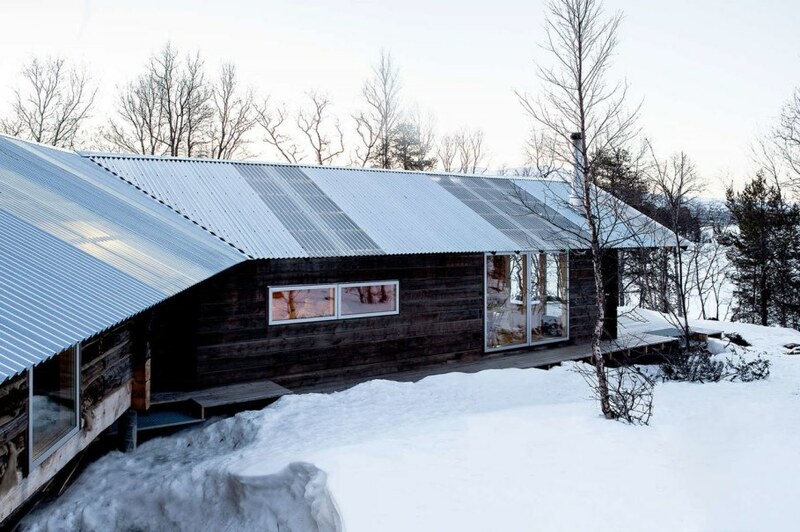 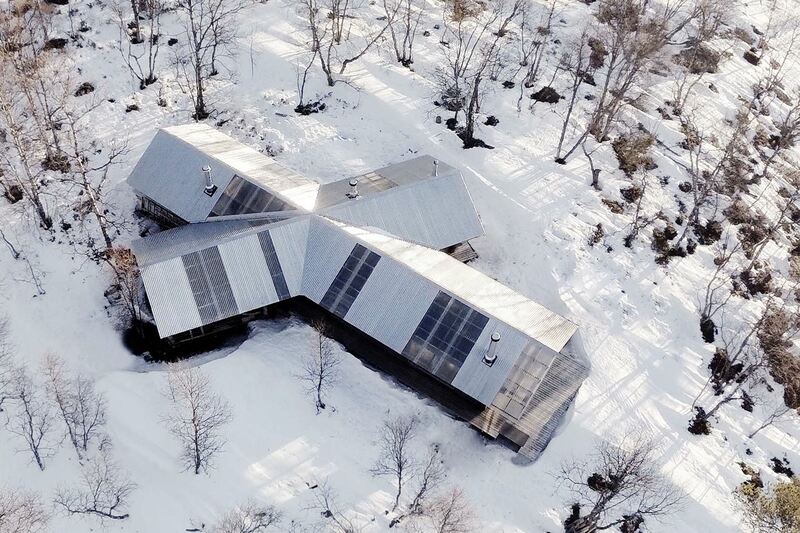 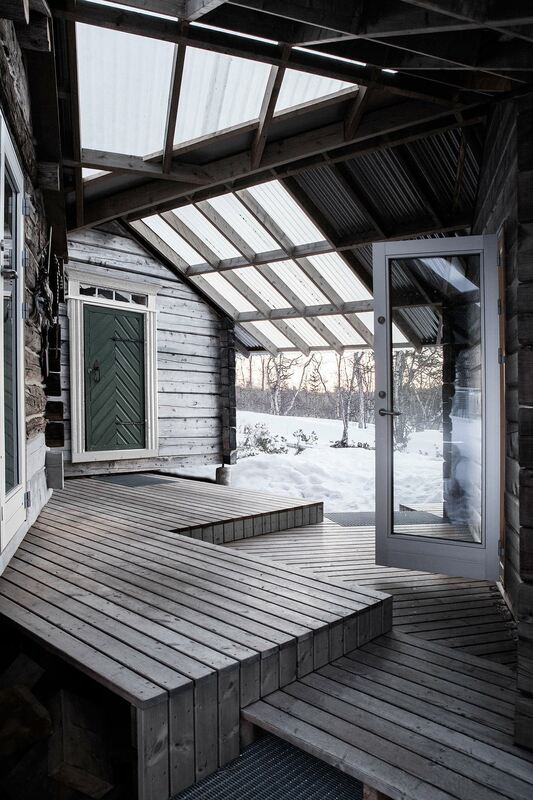 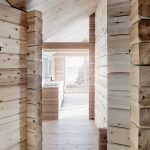 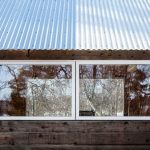 Designers of Aslak Haanshuus architecture studio have developed a small wooden house, located on the shore of Femunden lake, just an half-hour away from the Roros – a mining town, which is a World heritage site. 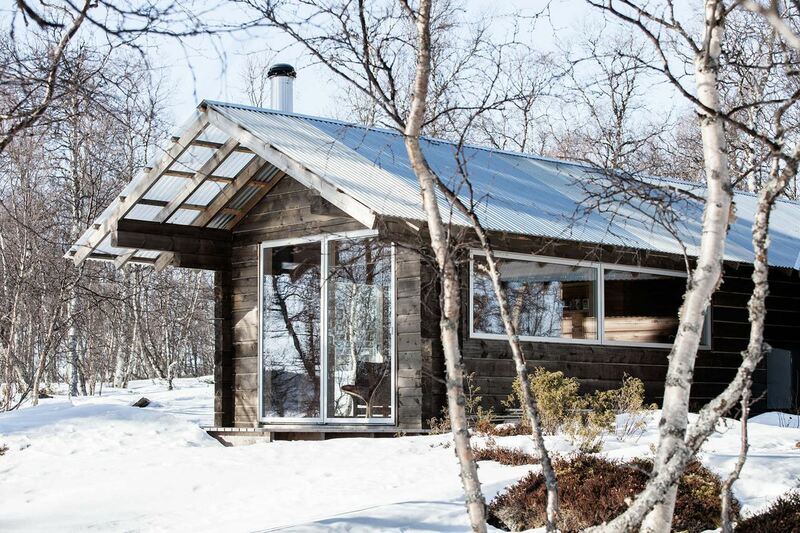 The house is located on the land, which adjoins to the unique Femundsmarka National Park. 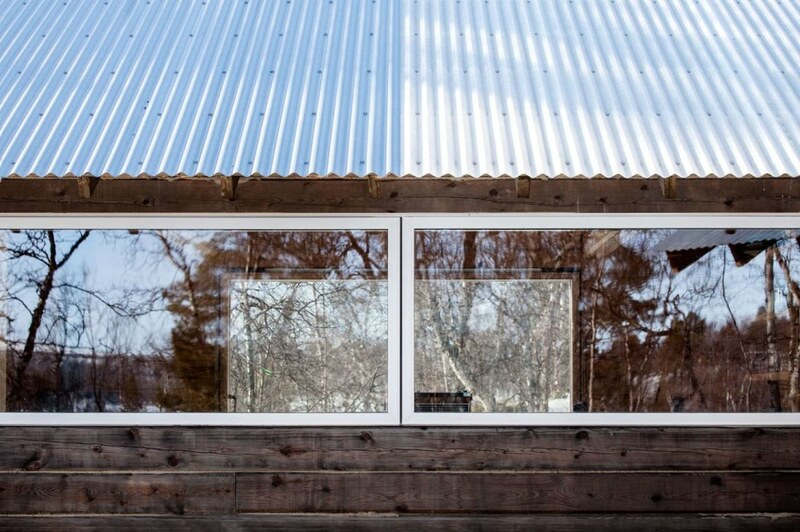 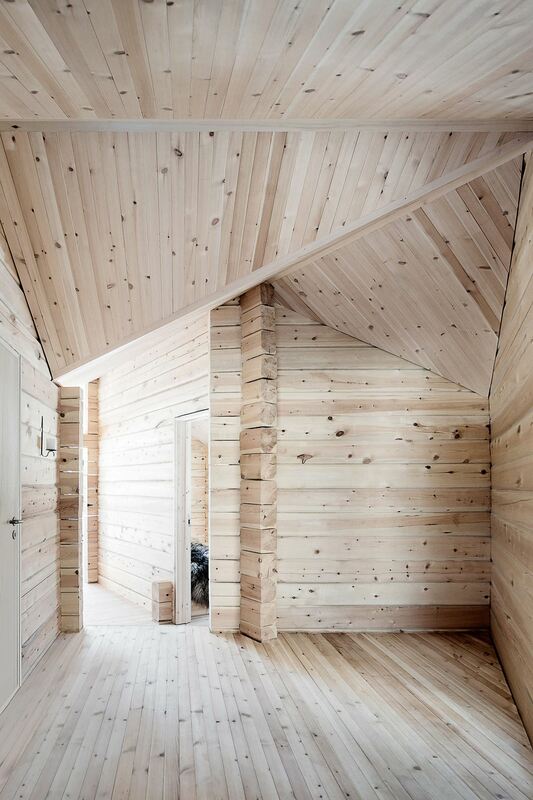 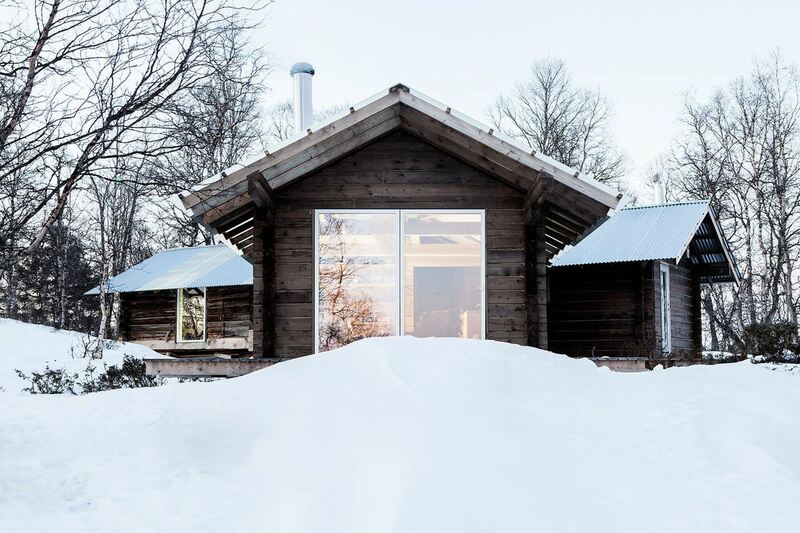 Two small log cabins were built there and the owner wished to include them into the new project. 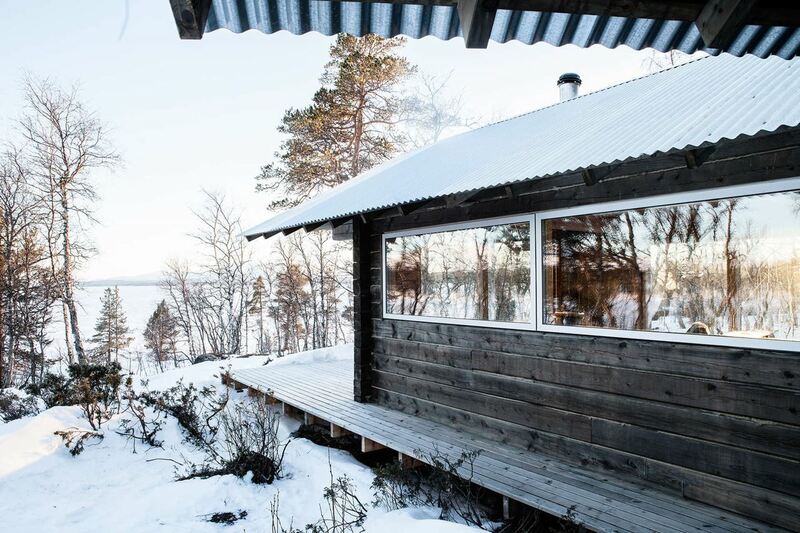 Two existing cabins were united by the new building, consisting of two wings. 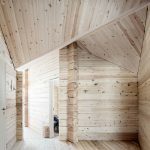 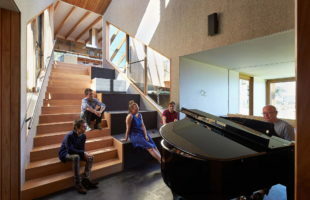 This building was created by applying the same traditional building method and with the use of wooden material of the same size. 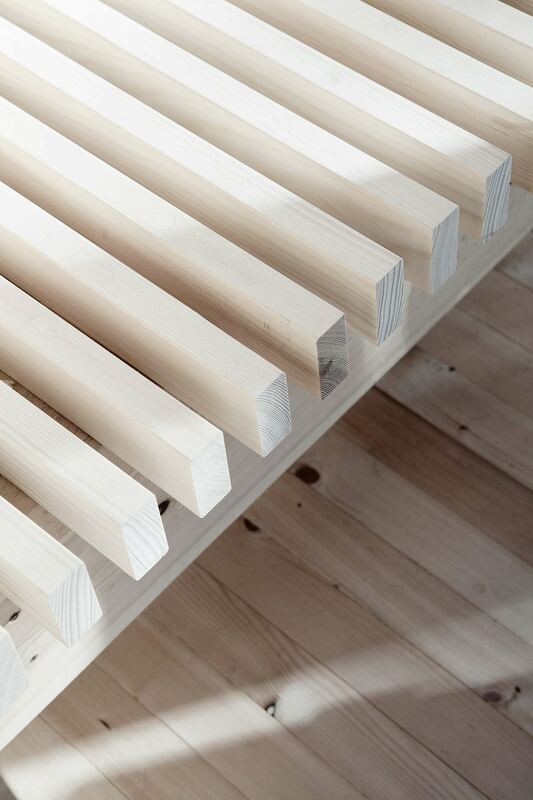 All three parts were lifted up for 50 cm. 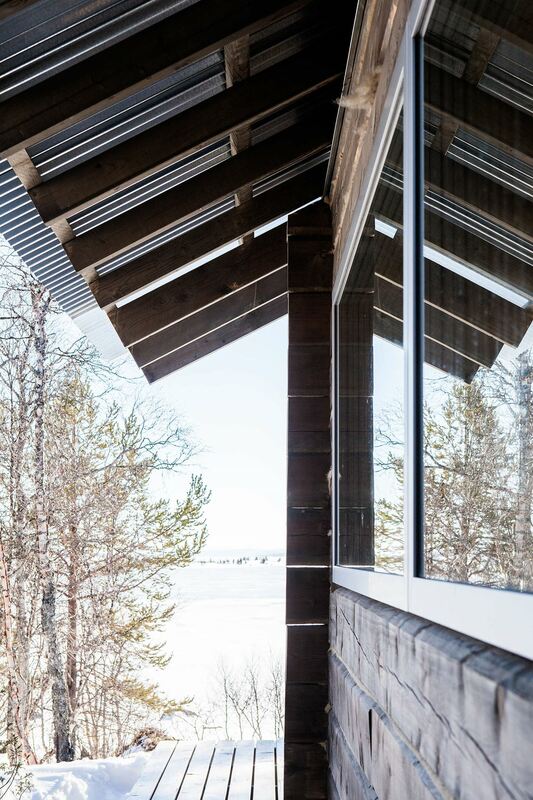 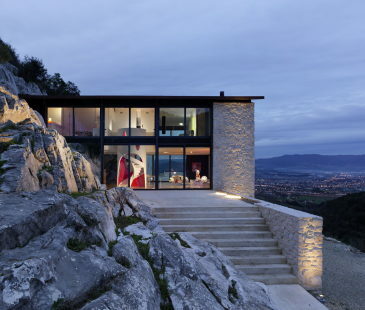 This approach creates the illusion of the building’s levitation above the greenery, and the joint sloping roof allowed to create a small covered yard in the middle of the complex. 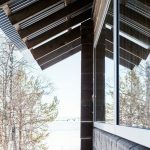 The roof represents the combination of corrugate steel and semi-transparent riffled roofing panels, providing the light to the internal court. 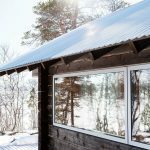 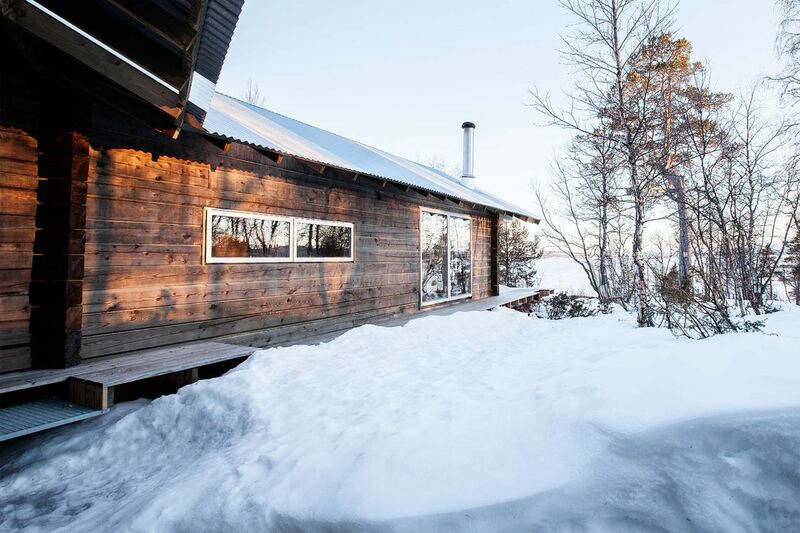 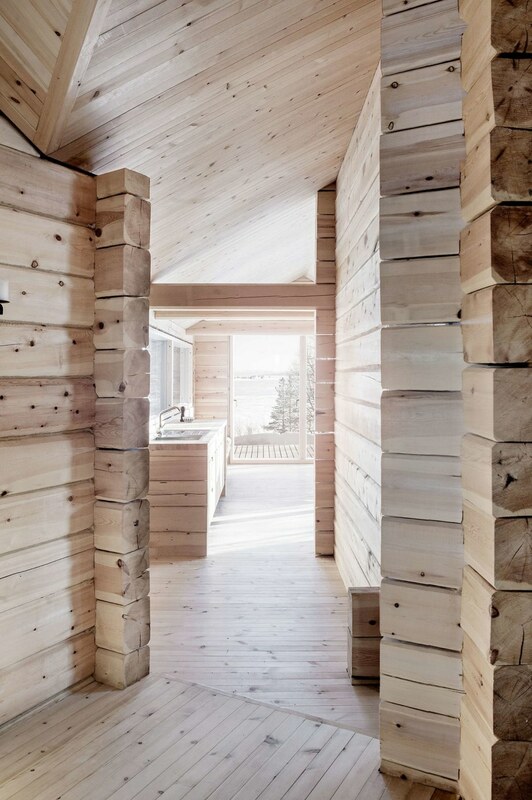 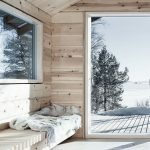 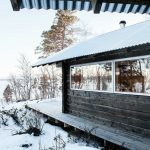 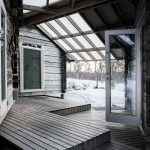 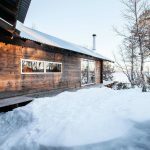 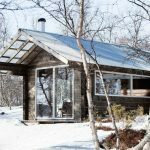 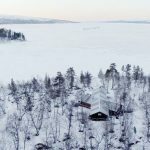 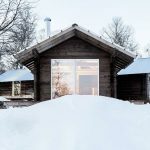 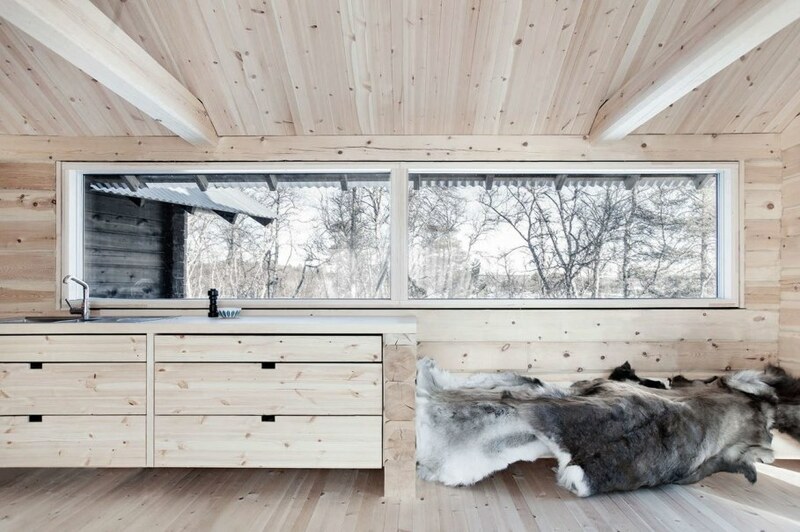 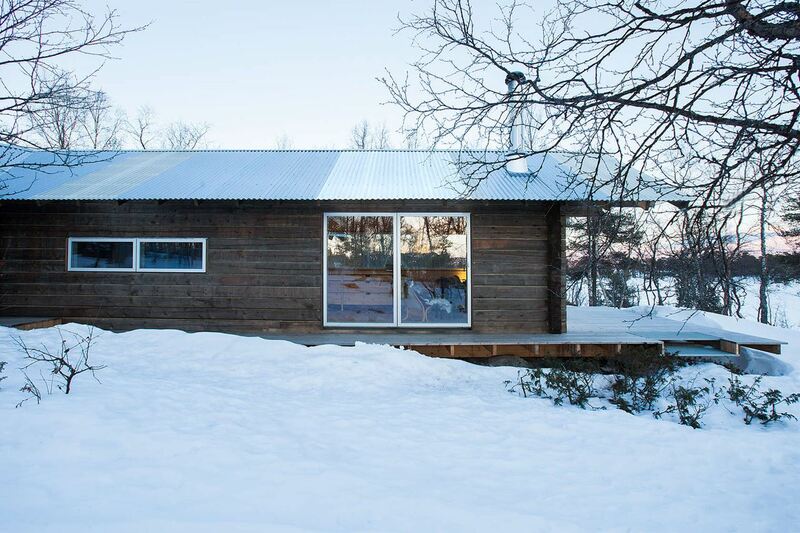 Two original log cabins are used as a guestroom and a storeroom, whereas the new building includes a living room with a kitchen-dining room, overlooking the Femunden lake and sauna. 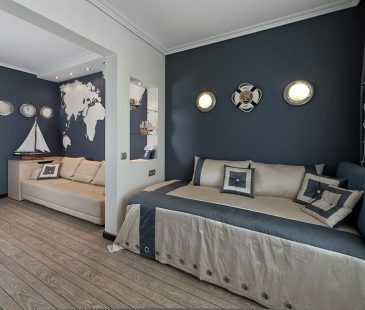 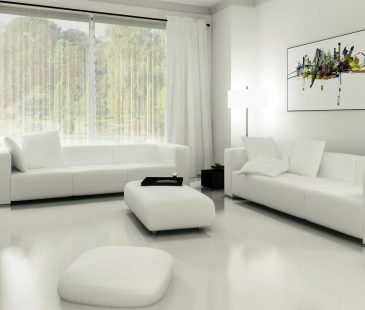 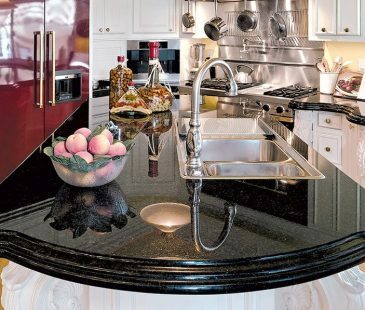 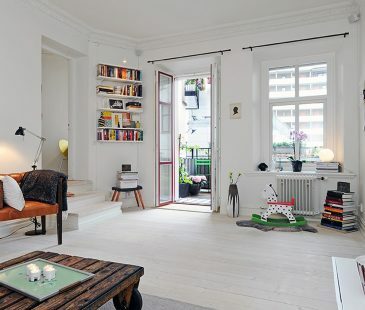 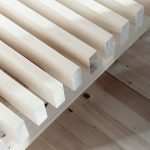 There is mainly inbuilt furniture here, and protruding parts of the wall are used mainly for fixing of a dining table, a bed and some shelves.